According to the compilation of available data from national authorities and IOM offices, a total of 144, 166 migrants and refugees arrived in Europe between January and December 2018, 23 per cent less than the 186,788 recorded in 2017 and 63 per cent less than the 390,456 in 2016. 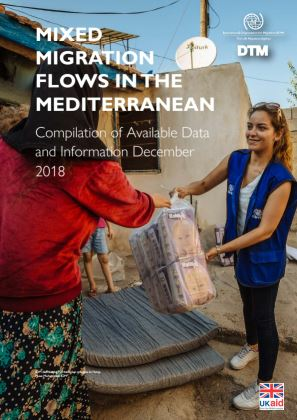 An estimated 81 per cent of the overall arrivals in 2018 crossed the Mediterranean Sea in 2018 (117,360), mainly using the Western Mediterranean route (58,525). 31,892 migrants were registered in Bosnia and Herzegovina, Albania and Montenegro in 2018, twelve times more than the 2,675 registered in all three countries in 2017.